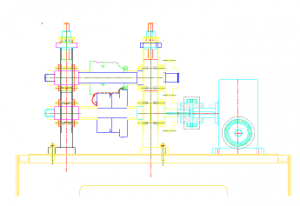 Applications: Build for dedicated product/products (can be used for few Products with same Roll Tooling Diameter). It is a less expensive version of Dedicated Roll Mill. The gears are hardened teeth. It is convenient for mounting side roll passes. Tooling set up is easy and quick. e. Heavy-duty base with location pins for the sections mounting. The base is Build to accommodate different quantity Sections – depends on the Profile’s passes requirements. Application: Designed and build mostly as an universal Roll Mill with ability to be used for forming different profiles – when different Rolls Diameters and ratio is required. 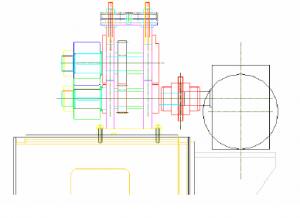 One head – stationary, other – adjustable with drive shaft through. Application: When the technology is using pre cut sheet metal. Alignment of the sheet is towards the stationary Roll Mill Head. 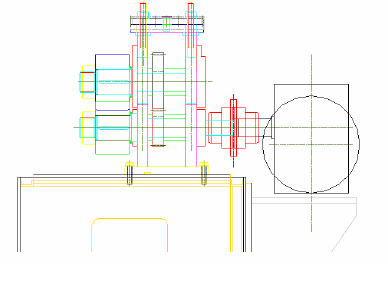 The Datum line is the Stationary Head’s shaft alignment. Opening or Closing the heads accommodation profiles with variable width up to 48”. Applicable for door panel lines. B/ Duplex Roll Mill with slides shafts. 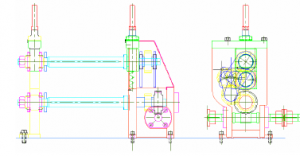 One head – stationary, other head – adjustable with drive shaft and Roll’s shafts sliding through. 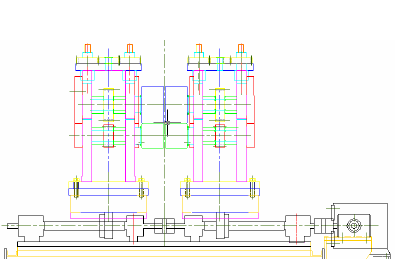 Application: Using Duplex Roll Mills with Top and Bottom shafts sliding through is applicable when the Cantilevered shafts Roll Mills are not capable of voiding shafts deflection. 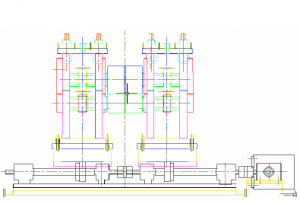 This type of design, features firm shaft support at any profile width without causing shaft deflection – when the bending line of the formed profile is too far away from the shaft bearing. 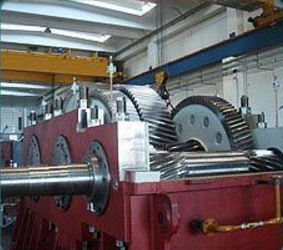 Double duplex Roll Mill is an accommodation of 2 Duplex, Cantilever shafts, continuous gear head Roll Mills with adjustability towards the centerline. 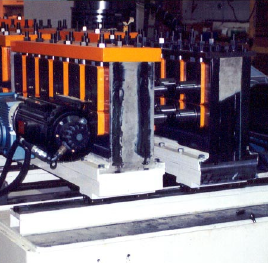 Application: Stud Roll Forming Line. Stud requirements: Lip – ½”, Leg 1.5” to 4” and Web 4”-12”. The First Duplex Mill forms the lip of the stud. The second Duplex Mill is forming the Leg. Construction applications, cable tray application etc. 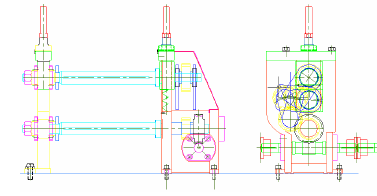 Two Roll Mills are accommodated in one common base elevated in different height. 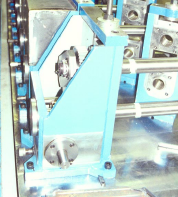 Application: Two similar Profiles are Roll formed simultaneously – i.e. corrugated Metals.